Verona to Venice on Valentine’s day – how else would you want to spend your Valentine’s day? I visited Milan for a travel expo and extended with a couple of days to also explore Verona and Venice. 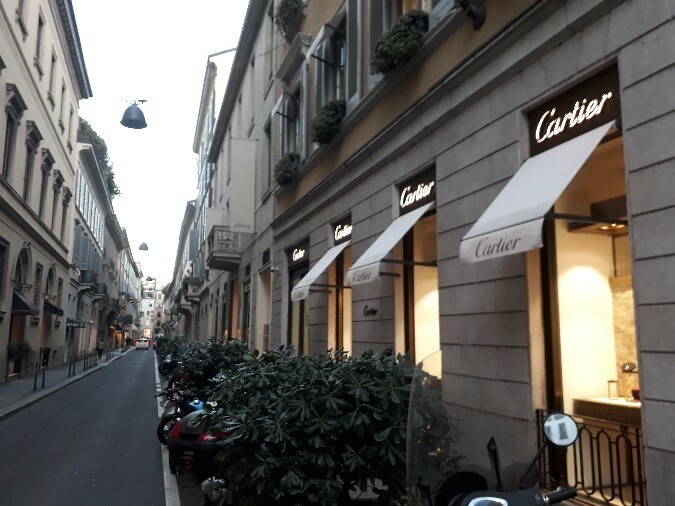 As Milan is the fashion capital of the world, you really need to visit the fashion district in order to really experience what this city has to offer. Be ready to swipe your credit card at Via Monte Napoleone! The Milan cathedral called the Duomo is also worth a visit. It is the symbol of Milan and one of the largest cathedrals in Italy and Europe. I could not resist to take a day trip from Milan to Lake Como. It was an easy train ride. From Como I took the ferry to Bellagio. I tried to spot George Clooney, but alas! Give yourself some time in Bellagio and have lunch or even some coffee and cake at one of the many restaurants while you are there. Verona was my next stop and what a great city! It is famous for being the setting for Shakespeare’s Romeo and Juliet. A visit to the balcony overlooking the courtyard and touching Juliet for good luck is on top of most tourist’s lists. You cannot visit Verona without having a proper meal at one of the restaurants in one of the many squares. I would suggest the Piazza Bra that overlooks the Verona Arena. It is one of the best-preserved ancient structures of its kind. The Amarone Risotto is one of their signature dishes. Although a very rich dish, I truly enjoyed it. So, the triple V (Verona to Venice on Valentine’s day) is exactly what happened on 14 February 2019. What a great way to arrive in Venice – by train! I stayed at a hotel very close to the station, which I think was also a great location. Plenty of shops and restaurants in the area and no need to struggle with luggage to get to your hotel. Unfortunately, I only had 1 night but I got to most of the highlights. Luckily, I had a guided tour of Venice – something that I will strongly recommend. You just get so much more insight into the city. O yes, remember to try out the famous pasta and bean soup. Delicious! What a memorable trip! Can’t wait to go back to Italy! !